Riley Brandt was one of the hardest hitting forwards in the British Columbia Hockey League (BCHL) as captain of the Vernon Vipers last season. 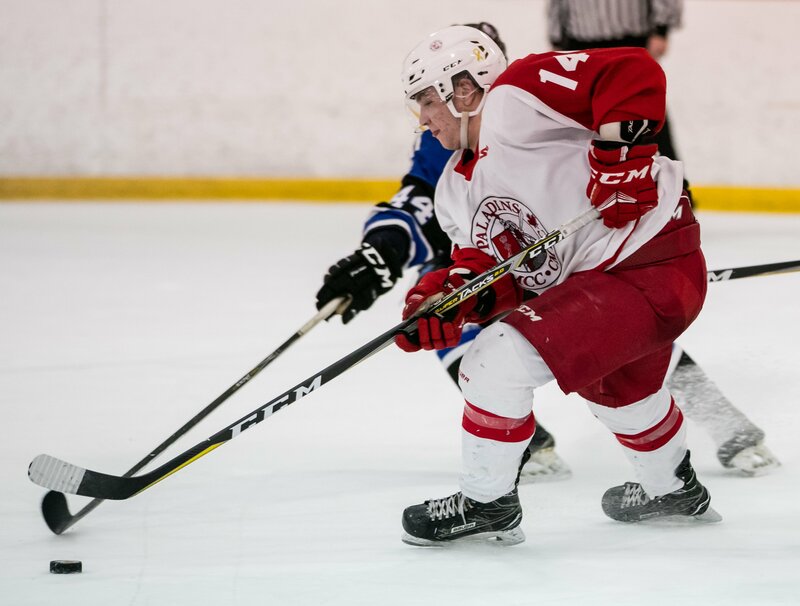 Known as a tough, physical player, the first-year forward joined the Royal Military College of Canada (RMC) Paladins this year, where he currently leads the team in points. The decision to go play hockey at RMC was an easy one for Brandt once he got to see the school in person. 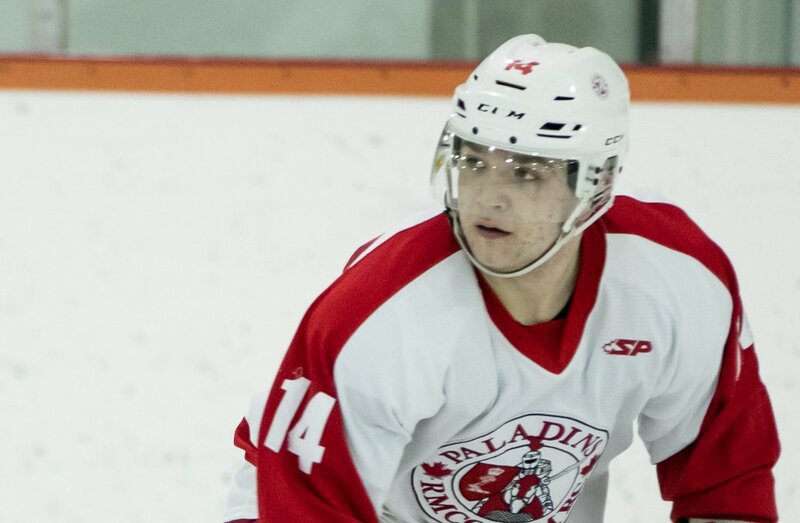 He got a call from Paladins head coach Richard Lim, who offered to give Brandt a tour, and invited him to watch the Paladins take on their crosstown rival the Queen’s Gaels in the annual Carr-Harris Cup at the Rogers K-Rock Centre. After taking in the contest that celebrates the oldest hockey rivalry in the world, Brandt committed to attend the Kingston, Ont. school. 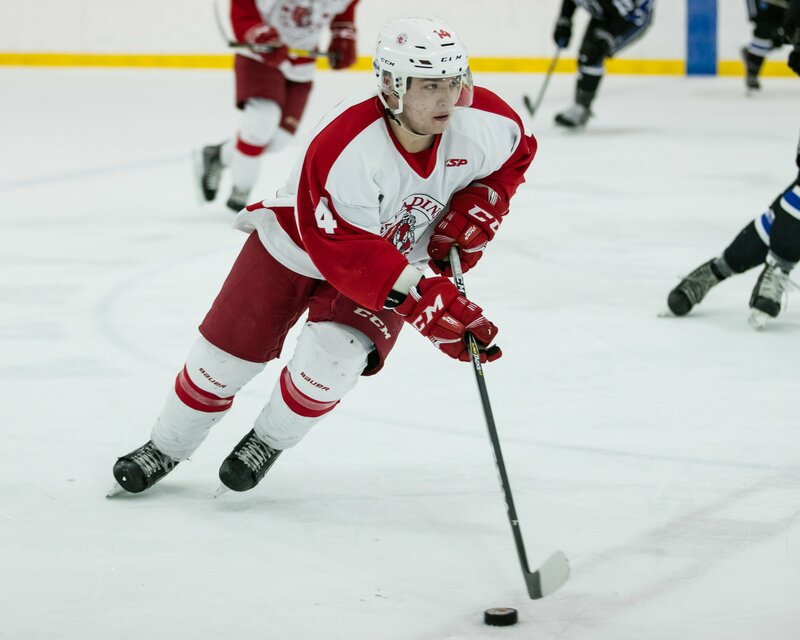 Until he had seen the school first hand, talking to Coach Lim, and seeing how close knit of a hockey program they were running, Brandt says he hadn’t thought of serving his country as a possibility. I never ever thought about joining the military or anything. It all revolved around hockey. Coming here, getting the free schooling, you're obligated to serve after you graduate. I'm excited to do that. I'm excited to serve for my country. Brandt says he loved what Coach Lim was doing with the program, and saw a chance to be a part of an underdog squad that could take people off guard. So far this season, the Paladins have done just that. After going 5-21-2 last year and finishing last in the OUA East division, the team is currently 5-13-3, highlighted by three consecutive victories in November over a historically strong UQTR squad that often challenges for a spot at the University Cup. And it is Brandt leading the way for the Paladins on the scoresheet with 21 points in 20 games – 16 of which are goals to lead the entire nation. From Lim’s perspective, Brandt is already defying expectations. When I met Riley, I loved his maturity and ‘anything for the team’ mentality. Brandt, who is studying general arts, says that his current military training is light, but laughs as he describes the two-hour time change that he went through after moving to Kingston from the west coast. “It was tough to wake up for the first little bit, especially the first couple weeks, waking up super early and everything,” says Brandt, who admits one of the most difficult things he is going through is readjusting to the academic schedule and lifestyle. Brandt spent three years playing in the BCHL after he graduated high school, where he says his only focus was training and playing hockey. Transitioning from that to jumping into university, along with the added military aspect, was difficult in the beginning. “University is pretty tough, but I guess it's going to be like that everywhere,” says Brandt. One of the cool things about it is that you're not only doing school, or hockey. You mix in a little bit of everything – some weekends, we're doing military training. I just think it's cool I get to open my mind and try some other things. One of the things that Brandt says has helped him the most has been the support he’s received since arriving at the school.